Mike Letsky, inventor of SmartMow™ robot lawn mower talks about the making of the SmartMow™ 2 robot lawn mower for its upcoming release. In this episode, Mike is unscripted and discusses the wheels used in the new SmartMow™ robot lawn mower and why the right wheels are important for robot lawn mower reliability and safety. Follow SmartMow™ on SmartMow.com , @smartmow on Twitter, @smartmow1 Facebook, @futuregenrobot on Facebook, or futuregenrobotics or mike.letsky on Instagram. My name is Mike Letsky and I'm the inventor of the SmartMow™ robot lawn mowers. In the video above I'm going to talk to you about one of the new parts we got in for the SmartMow™ robotic lawn mowers...guess what it's a wheel and a tire. Let me explain to you why we chose this type of wheel for the SmartMow robot lawn mowers. The new wheel for SmartMow is a foam rubber wheel with an aluminum hub. 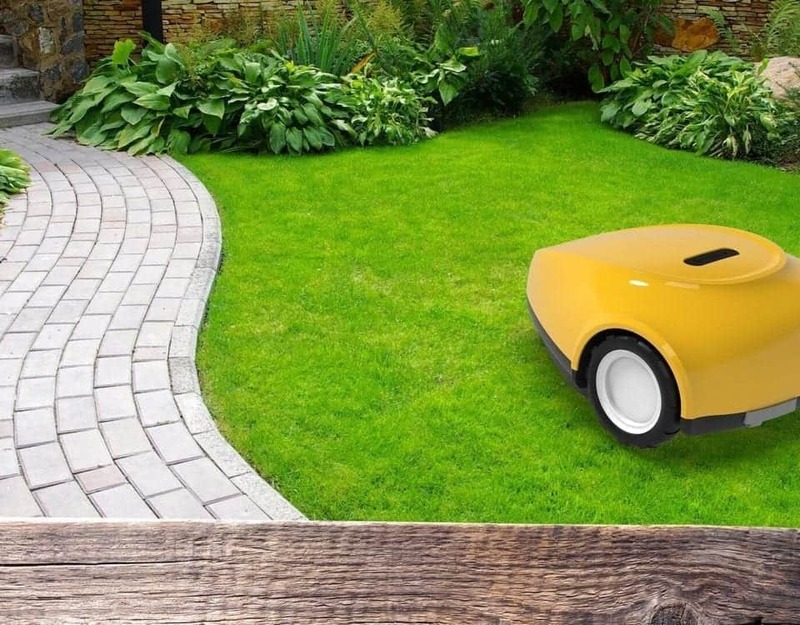 Why this wheel is better for the SmartMow™ robot lawn mowers as opposed to other robot lawn mower wheels.. First of all, your grass may be soft but you may have something hard like a sidewalk, that divides your lawn. 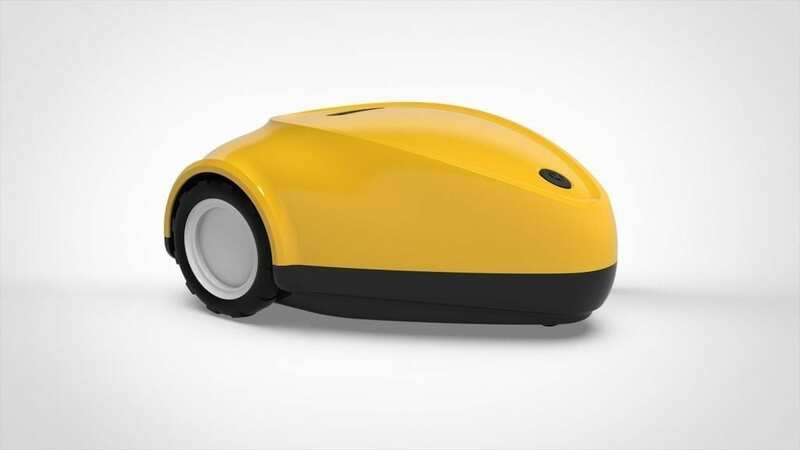 Other robotic lawn mowers have plastic wheels. Plastic wheels wear down and lose traction when they hit hard surfaces like sidewalks, rocks, tree roots, or other things you just may have in the yard, and then the robot goes where it's not supposed to go like beyond a perimeter wire. SmartMow™ is patented in United States and creates virtual boundaries there's no perimeter wire to install but that doesn't mean wheels aren't important. 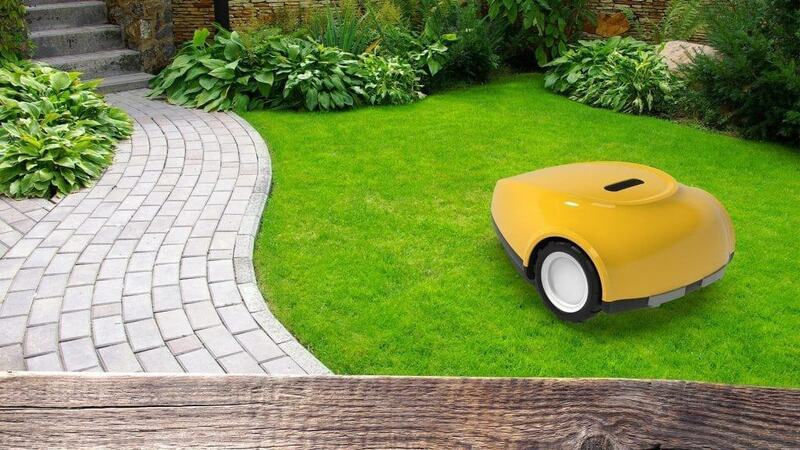 SmartMow™ is a front wheel drive robot lawn mower. Good wheels and good tires give SmartMow™ better traction. Better robot lawn mower traction means better capability to go up slopes, down hills, through craters, over rocks, and move soccer balls out of the way that's needed to mow your grass. It's also better for safety. The better the traction for the SmartMow™ robot lawn mower the better positional accuracy. The better the positional accuracy the better the robots are going to mow your your lawn. fresh brand-new wheels for the SmartMow™ 2 robotic lawn mower.